While the clean lines of Land Rover cars are elegant and attractive, the real attraction of Land Rover excitement is driving performance. 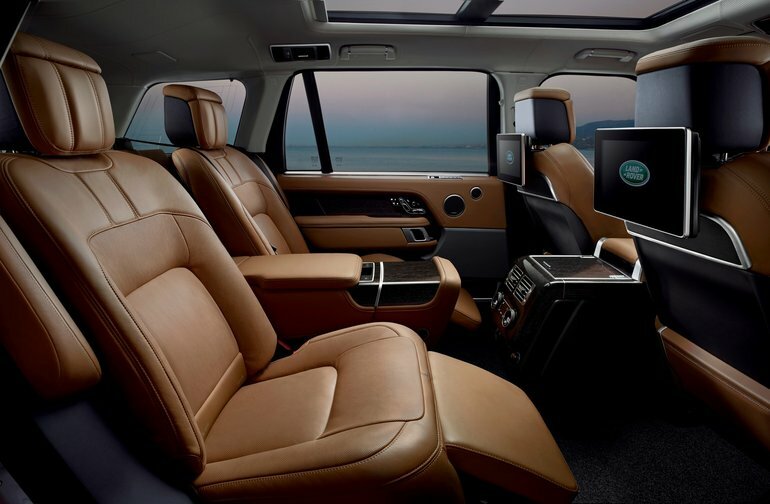 So, naturally, when choosing your Land Rover, you’ll want to pay special attention to the test drive. Even before you get into a Land Rover, you should prepare for your test drive with thorough research. Understand the differences between models (and years, if you are considering a pre-owned Land Rover). Learn about features that might be important to your personal decision, such as passenger and luggage capacity, and performance capabilities. When it comes time for the test drive, don’t just drive. Take some time sitting in the car before you drive it. Is it easy to get in and out? Do the controls come ready to hand? Check the visibility both inside and out of the car. Can you see the gauges and controls easily? Are there any obvious blind spots looking out of the car from all directions? Land Rover seats have sophisticated adjustments. If you are not familiar, have the salesman help you adjust the driver’s seat for best visibility, comfort, head room and leg room. When you have the seat adjusted, take the time to adjust the mirrors for best visibility and a safe drive. When starting to drive, keep the radio, MP3 player, and cell phone off. You want to concentrate 100% on the car’s performance. Land Rover cars have sophisticated electronic systems to aid you with navigation, Bluetooth connections, entertainment, and monitoring the car’s performance, but don’t try to learn all about that while driving. Choose your route and put your Land Rover to the test. Choose a route for your test drive that reflects as closely as possible the kind of driving you intend to do with your Land Rover. As much as possible, the route should include a mix of curves and straights, hills and flats, surface streets and highways. Acceleration: Does the car respond quickly for acceleration from a standing start and for passing? Remember many Land Rover cars come with customizable settings for performance. Engine sound: Can you hear the distinctive Land Rover engine sound and exhaust note? Hill-climbing power: How does the car handle a steep hill? Braking: How do the brakes feel in both gradual and more aggressive stopping? Steering and handling: How does the car handle in steering, not just at speed but also in parking and reverse? Suspension: Does the suspension give you the feel and performance you want? Remember, many Land Rover cars come with customizable settings for suspension. Driving ergonomics: How does the car fit you while driving? After the test drive, talk frankly with your salesman about your reactions or any questions you have. Land Rover cars are built for performance for individual drivers. Customizable settings can transform your Land Rover to match the performance and handling you like best. Most of all have fun on your test drive! When you are ready to purchase a Land Rover, contact us to schedule your test drive. We make it easy for you to find, test drive, and drive off in your perfect Land Rover.